Named after the frigid, little capital city on Greenlands southwest coast, the Nuuk Parka handles those same polar conditions with style, grace, and of course - warmth. 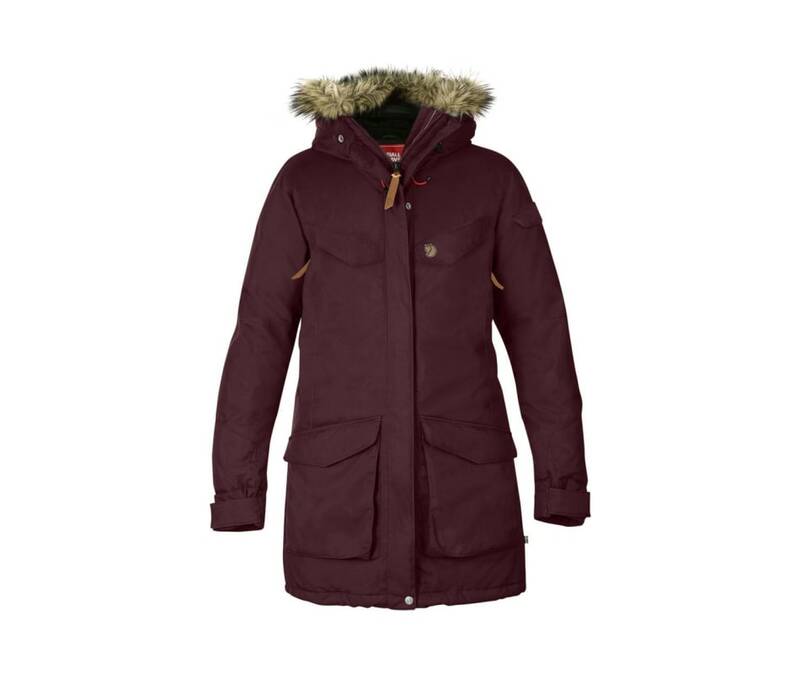 A long, large, womens parka with synthetic lining that reaches over the rear and thighs, the Nuuk Parka has Supreme Micro Loft padding, a fixed hood with soft fleece lining and detachable synthetic fur for protection against snowstorms, plus pockets galore for media players, phones or just warming your hands. The perfect parka in unpredictable, winter weather conditions to shield you from the rain and wind - whether you live in Nuuk or not. Adjustable storm hood with detachable synthetic fur. Two fleece lined hand warming pockets at sides. Two top loading bellow pockets and 1 media pocket on sleeve. Wind and waterproof winter parked with warming Supreme Microloft filling.